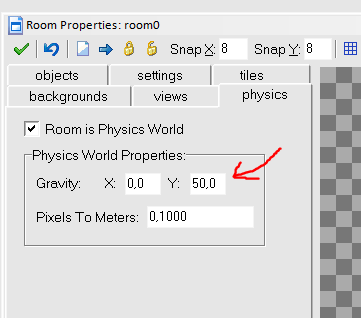 Create a new room, go to the physics pane, and you'll see these settings. The Y value is the amount of gravity. The power that the room pulls the object down. Adjust it to about 50, or whatever you'd prefer. 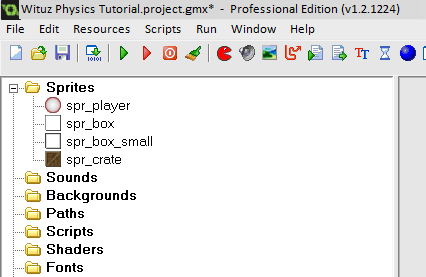 Create an object, and check "Uses physics" (1). This will enable physics for the object. I call mine obj_wall. We need obj_wall to be static. Therefore, check "Kinematic" (4). Kinematic means that it isn't affected by the force of other objects. To make it completely static, set the density to 0 (2). Set the collision shape ﻿(3)﻿. It tells the physics engine how to handle the object. It's like masks are used for normal objects. 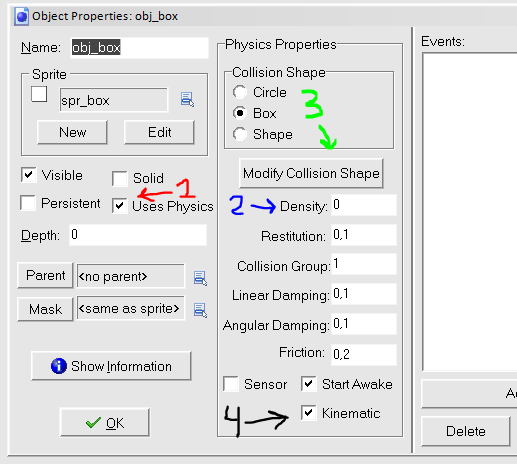 An important thing: Set the collision group to 1, in order to make it collide with other physics objects that has collision group 1 as well. Just for fun. You can skip this step if you want. Remember to adjust the Collision Shape for the new wall. 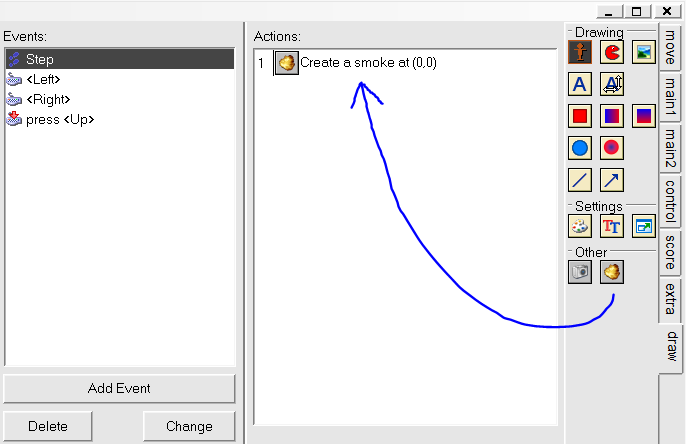 Create a new object, and call it something like obj_player. The first thing to do, is to enable physics. Modify the collision shape to a circle, and set the collision group to 1. This will apply a force of -100 to the x-axis of the player, which means it will move to the left. To make it move right, just replace -100 with 100. 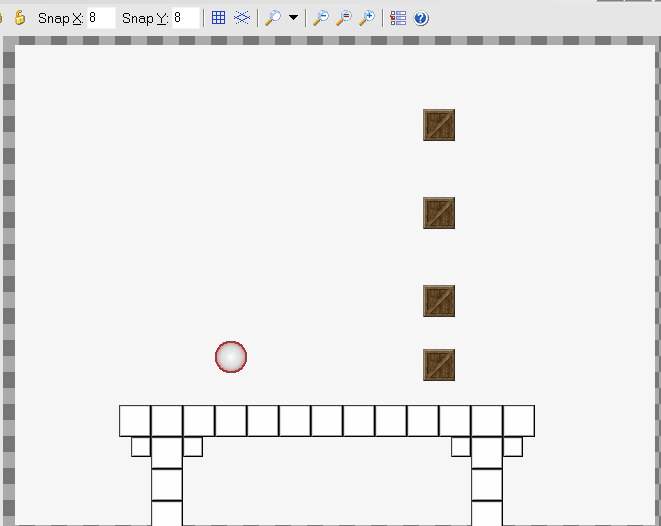 If the place isn't free 1 pixel below the player's y position, then the player should jump with a speed of -100. - and that's what the code does. Create a new object, call it something like obj_crate, enable physics, set collision shape, set the density to a little lower than normal, to make it weigh a little less than the player. Instead of making it static, this crate will be dynamic.